Shades of green, orange, red & yellow fill the world around us this time of year. Fall represents beautiful changes taking place. The leaves begin to change colors & remind us that summer is over & a new season is upon us. Just as in nature, we experience different seasons in our lives. Many times those seasons bring about a desire for change in regards to how we live. For many people, this sparks an interest in improving their homes. Whether it’s big or small, making changes to your home can be quite exciting. A fresh coat of paint in a fabulous new shade or an amazing pair of lamps can make a room feel brand new. Remodeling or completely re-furnishing a room can make you feel like you have an entirely new home. Design projects and transformations are revitalizing. I recently worked with a client to give her home a makeover inspired by a wonderful new beginning in her life. Some of the interior changes were very big & while others were more simple, they were all dramatic. The fresh new feeling that now greets her guests with a warm welcome is remarkable. 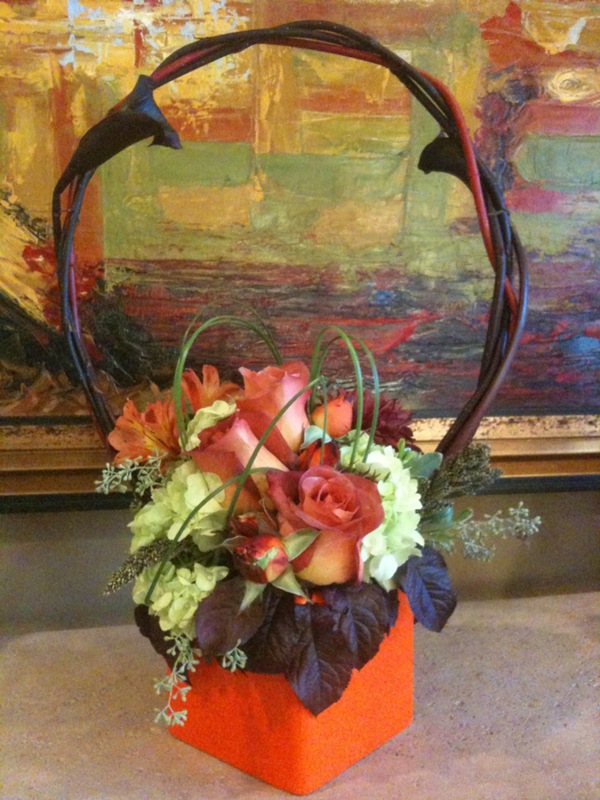 In the dining room, you will see one of our more simple changes. On the left, you see the dining chairs before. Originally, the outside & inside back of the chairs were covered in a tapestry fabric with a brown background. We wanted to lighten up the room to bring new life to it. 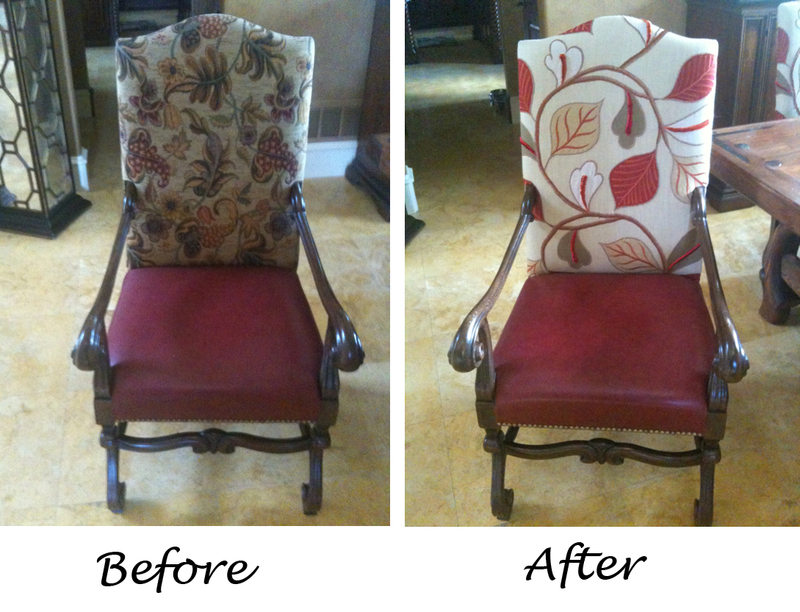 I chose a stunning foliage patterned fabric from Lee Jofa to re-cover the inside & outside back of the chairs. We decided to keep the seat in the red leather. The result was a lighter more airy feel in the dining room. The fabric is so fresh & vivid as compared to the previous tapestry that just sort of died in the room. Enjoy this cool & gorgeous weather & Happy Fall y’all!! !